This Joma Jewellery bracelet is presented on a gift card that reads 'Wear this charm for all to see it’s always time for a G&T'. 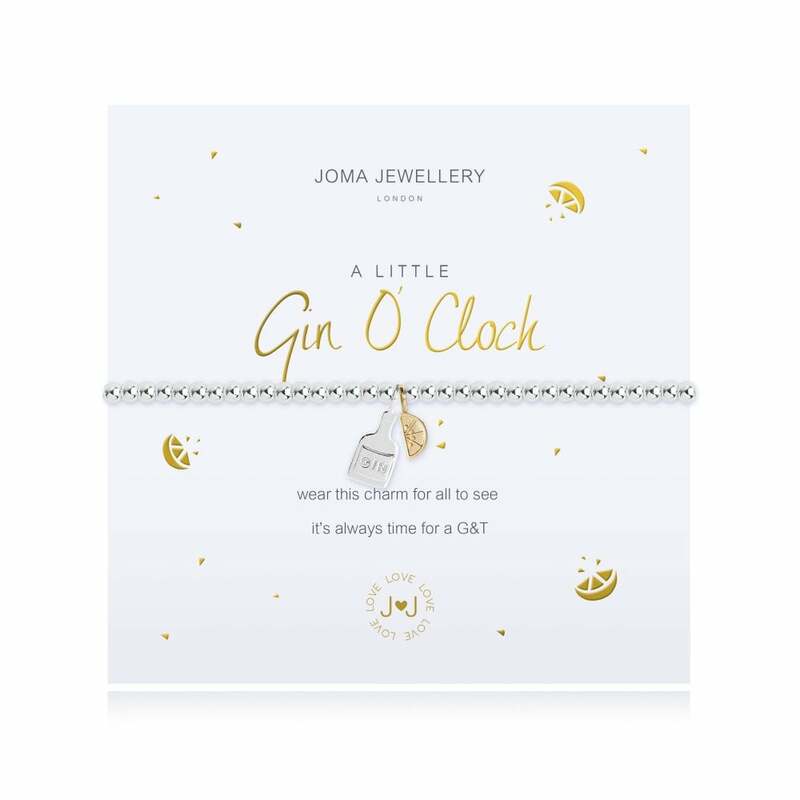 This A Little Gin O Clock bracelet from Joma Jewellery is the perfect gift for gin lovers! The versatile, elasticated beaded bracelet is finished with a cute silver gin bottle and a rose gold lemon slice - the perfect bracelet to remind you that its always gin o clock! Please keep your item dry at all times and away from perfume and body creams in order to preserve any plating and to ensure your piece lives a long and beautiful life. Each piece of Joma Jewellery comes in a gorgeous Joma gift bag with a gift tag for you to write the recipients name for easy peasy gift giving.